There’s a lot of hype around Conversion Rate Optimization (CRO) and you’re probably wondering if it's real. Well, you’re in luck. We’re going to share 12 real CRO case studies with fascinating results that may sound too good to be true, but are. The best part of all is that every single one of these case studies involved small changes that any company could test for themselves. 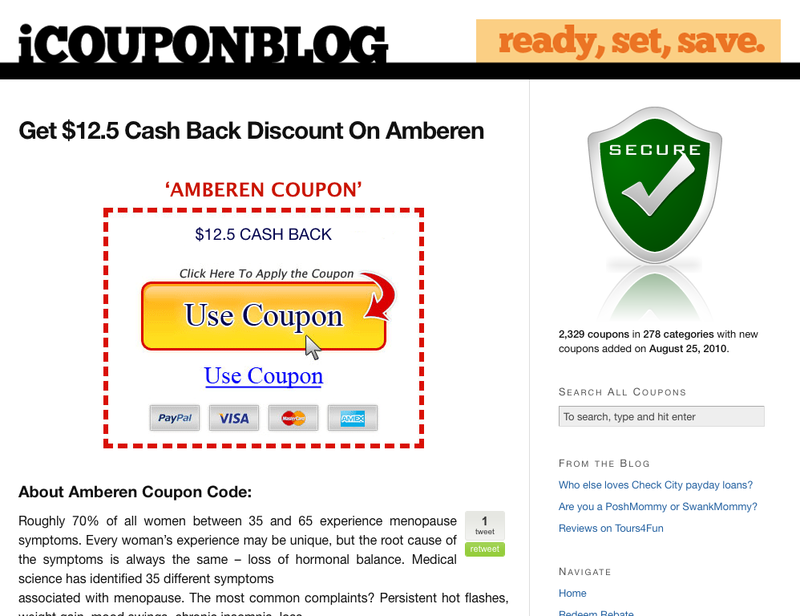 Take a look and see for yourself how powerful CRO can be. People relate to people better than they relate to products or services. Whenever you can add a human element to your offer, it will be more engaging in most cases. When 37Signals (Now Basecamp) sought to improve conversions on their landing page, they tried several different tests with marginal results. Finally, they decided to start from scratch and added an image of a woman smiling to make the page warm and inviting. The result – conversions spiked by 102.5%! Where your CTA is located on the page is often just as important as what the CTA says. 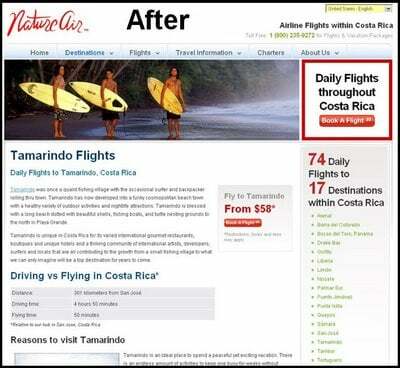 Nature Air had several landing pages with conversion rates they weren’t satisfied with. 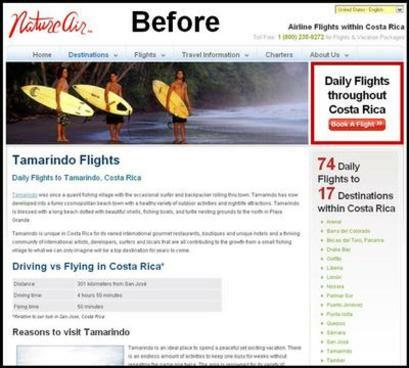 After some research, they ran an A/B test on each landing page, one of which moved the CTA to a more prominent location. 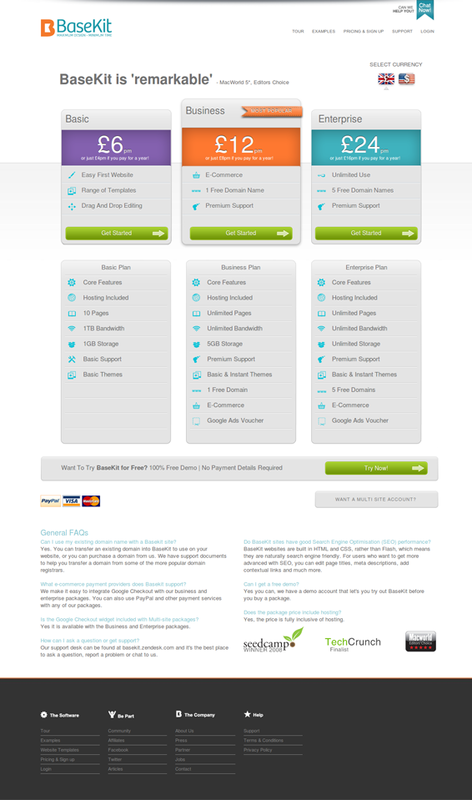 Here is one of the test pages that has the CTA in a prominent position on the page. As a result, the conversion rate increased from 2.78% to almost 19% – a 591% increase! The team at Conversion Rate Experts created 11 experiments for Voices.com targeting various stages of their sales funnel. Their challenges included targeting multiple audiences and adding perceived value for a “middle man” service. Of the experiments they ran, the following are the three that had the most significant impact on their conversion rates. They added logos of previous clients to instill trust in prospects. They created two different CTAs to segment their audience based on their two primary buyer personas. They also added a useful video to eliminate confusion over how the service worked. Learn how to boost leads the right way with this free guide! Sometimes it only takes a few small tweaks to increase conversions and that’s the case with BaseKit. The company felt their original pricing page wasn’t performing as well as it could and decided to test a redesign that resulted in a 25% increase in conversion rate. As you can see, they’ve added color behind the prices and to the “Try Now” button to make them stand out more. They also made currency selection more eye-catching and made their recommended plan more visually prominent through color and positioning. Overall the design looks cleaner and easier to read. 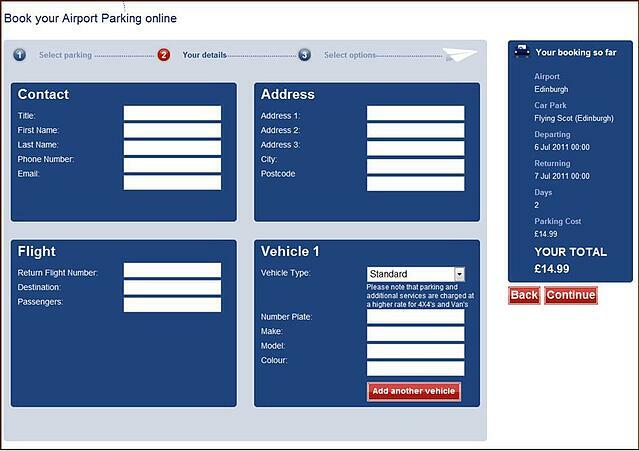 Different colors evoke different emotions from users and as simple as it sounds, the color of your CTA buttons matters. Performable (now HubSpot) tested their homepage CTA button with green and red colors, while keeping the copy the same. 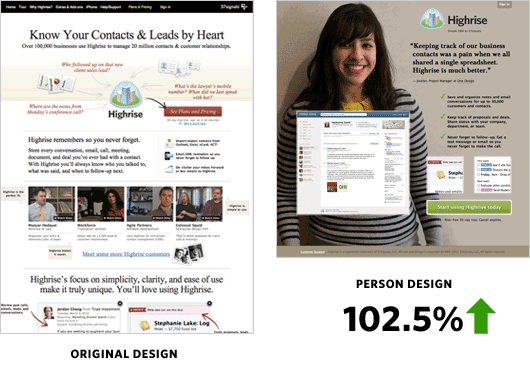 The result was a 21% increase in conversions. 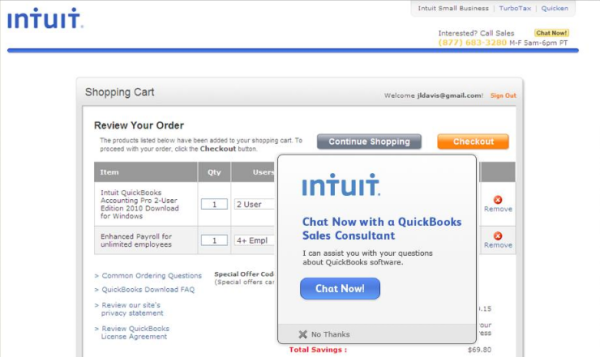 Intuit added proactive chat to several areas on their website to better serve their prospects and customers. Each area saw an uptick in conversions. After adding chat to their checkout page, their conversions went up by 20%, and even better, the average order value increased by 43%. 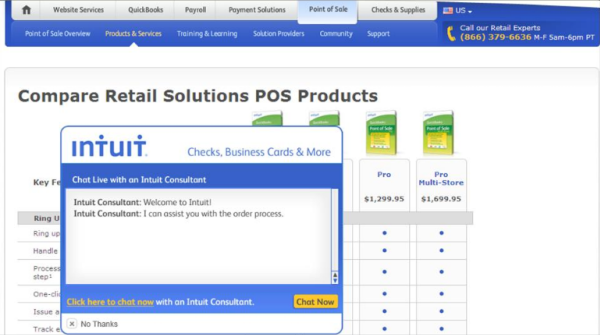 Implementing live chat on a product comparison page increased sales by 211%. Normally, we associate an increase in conversion rates with adding elements of trust, but in the case of Bradley Spencer, they saw the opposite effect. It only took around 3 days for conversions to increase by 400%, most likely because the image was too distracting from the offer. Express Watches is an online watch retailer and one of the biggest concerns of their customers is that they are buying authentic brands. They decided to test a seal of authenticity to see if it had an effect on sales. Below is the control page. The result was an increase in sales by 107% with the variation page. 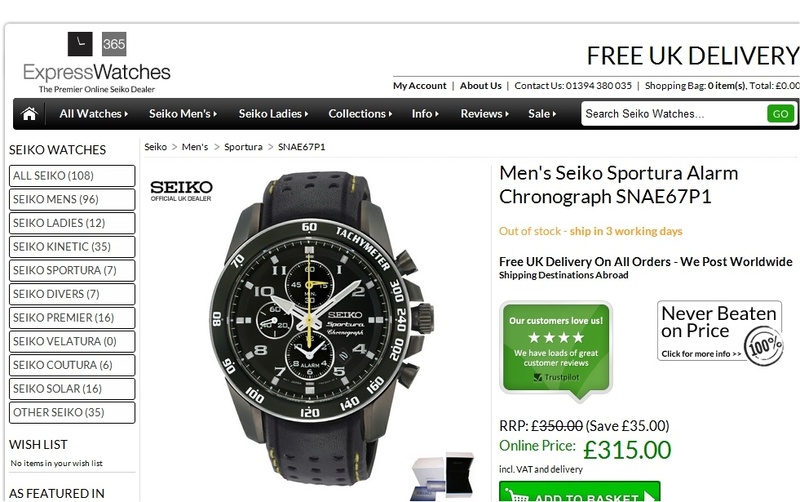 Horloges.nl is another online store that sells watches, based in the Netherlands. 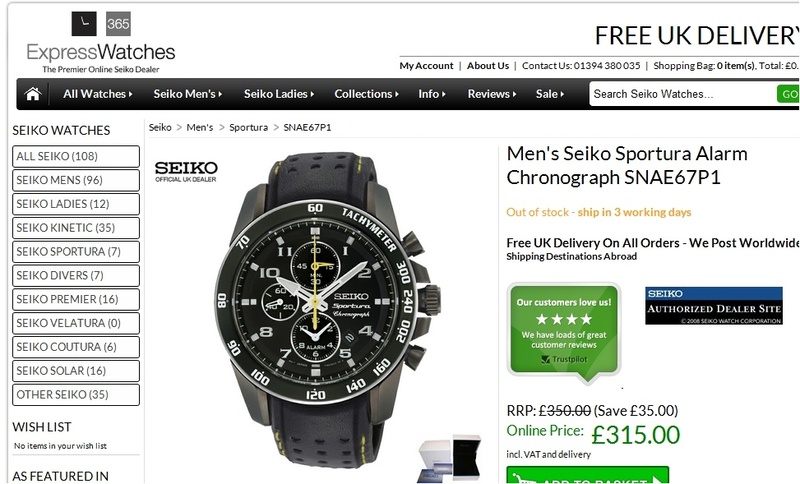 They made some tweaks to a banner on their landing page for the Casio G-Shock line of watches that resulted in a 41% increase in sales. By slightly changing the design and adding trust building elements, they improved conversions and also increased the average sale by 6%. 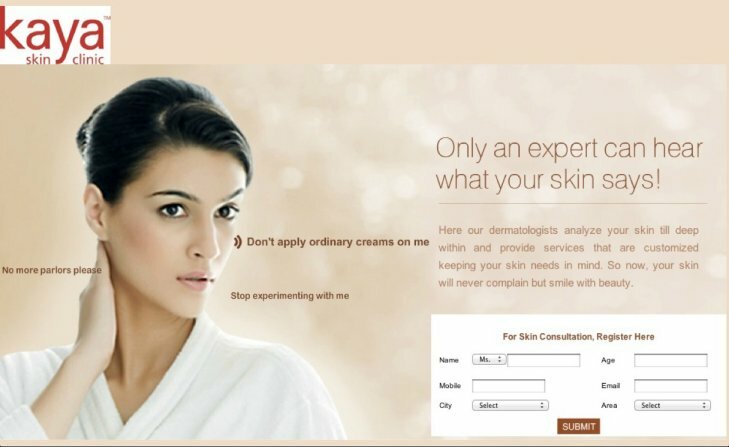 Kaya Skin Clinic is a beauty clinic that wanted to book more appointments and close more sales from their website. After analyzing their landing page, they decided to test a new form copy to replace their generic one. 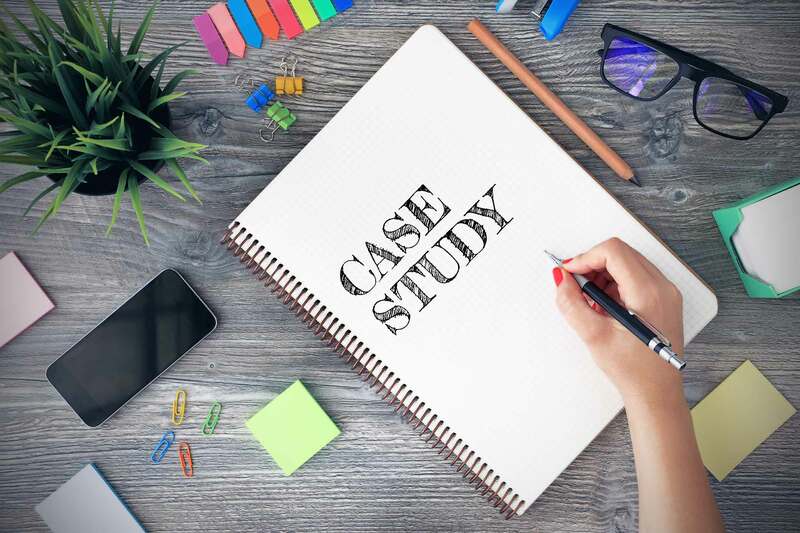 Simply changing the form copy from a generic consultation to an “expert opinion” increased conversions by 137.5%, which resulted in a 22% rise in sales. 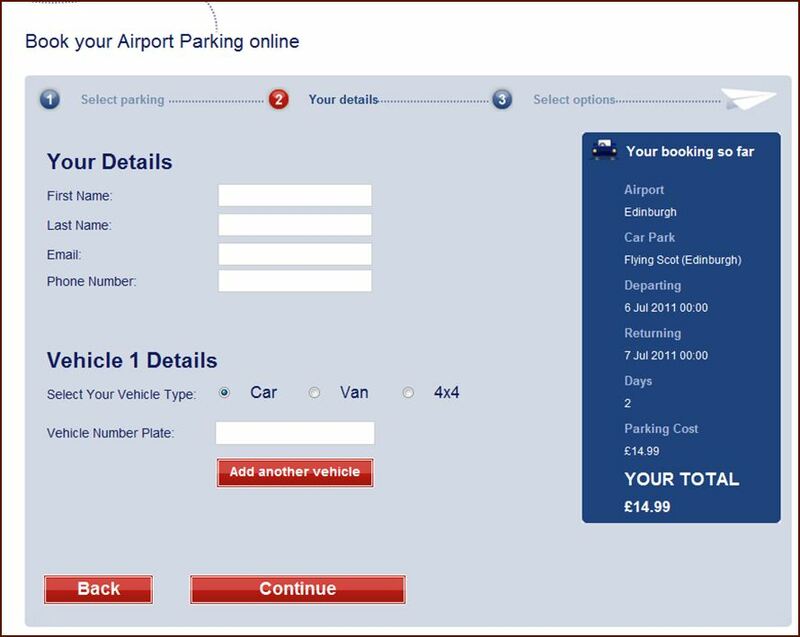 Flying Scot provides airport parking in Edinburgh, Scotland. They had the goal of increasing conversions on their website and after some research they discovered the number of questions/fields in their forms were creating barrier in their conversion funnel. By reducing the amount of work required to convert, the company saw an increase of 45.45% in visitors moving to the next step and a 35% increase in form conversions. 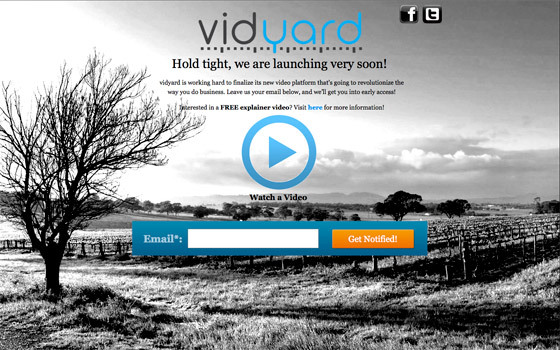 Vidyard wanted to increase email opt-ins for their alpha product, so they tested a landing page with and without video to see which performed better. 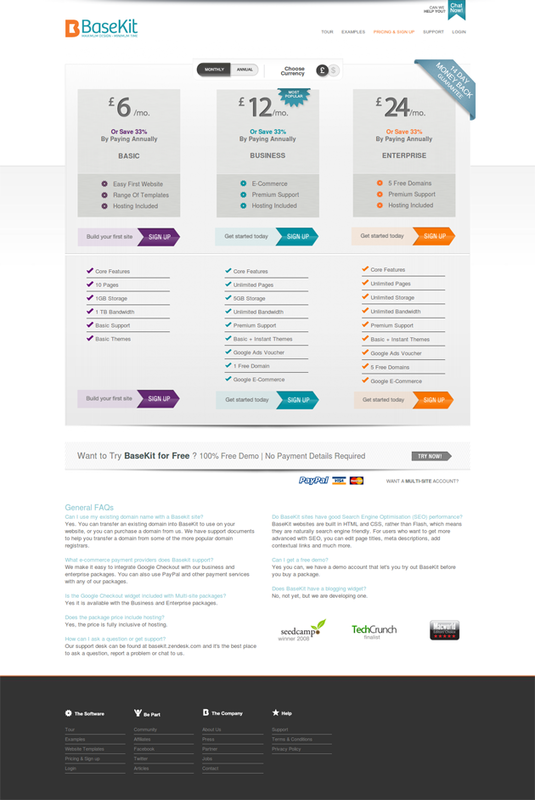 The version of the landing page with a video saw a 100% increase in conversions. The content above was an excerpt of our new guide, "The Inbound Master's Guide to Conversion Rate Optimization" To learn more about CRO, testing, how to do it successfully, and experts to turn to, get your free copy of the full guide by clicking "Get it Now" below.